A charming Oregon seaside village, an ex-con gone good, a beautiful police chief with a sad history, all come together in this lovely romantic story about Lexie and Adam, neither who were looking for romance, but somehow it found them. The story of restored hope and second chances entices you to keep reading and will have you wanting the next book to come quickly! 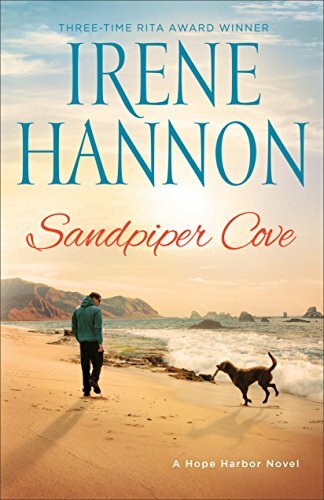 The third in a series of Hope Harbor series, this book brings back the wonderful characters in the first two books, especially Charlie, the town's local sage and taco man, who always knows what to say and when to say it. Every time Charlie comes into the story, I get hungry for fish tacos. Irene Hannon is a master at character development. Each of her novels' characters are unique individuals. I always know that I have read a masterful piece when I miss the characters at the end of the book. I definitely will miss Lexie and Adam, and hope to read more about them in the future. This is your perfect summer romance novel. The book is set for publication on April 4, go and order it and save (and savor) it for your vacation! I will be at the beach all summer long and I am always looking for good beach reads. I will add this to my list. oh, I need to get some good books to read. I actually prefer series as well because I blow through books so fast and get upset that the book ended so fast! thanks for the recommendation. You can tell you're an avid reader because this review was written so well! I love the part about getting hungry for fish tacos! Haha! Ok, now I want some. I have been looking for a new series to get into. One with good characters that I can enjoy as they grow and develop. This sounds like good summer reading. I am so hungry for fish tacos not :) sounds like a good beach read! I love finding quick easy reads for summer. Love series, because I read so fast, and then I'm always bummed when a book ends. I like an ongoing story, or ongoing characters. This one sounds like a good one. This sounds like a great Spring Break read! The Oregon Coast is a great location! Oh how I wish I had more time to do some reading! This sounds like such a perfect summer book! I will check it out!! I am going to vacation at the beach this summer and I will need a new book to bring along with me!! OMG I haven't been able to read a book just for fun in almost 2 years!!! I would certainly love to just sit and relax enough to read a book. Maybe on my next vacation! This sounds like a great book to add to my summer reading list! I normally prefer mysteries, but this sounds like a lighthearted beach read! It also has an interesting storyline. Gosh, it's been so long since I've jumped into a good fiction book. I miss them! It used to be one of my favorite pastimes, before having a child. This sounds like a great read!